Do you want to know finer details of different hardware components on the computer? Portable tool Speccy display all the juicy details of important components on your computer. Being portable, you can unzip and use this utility anywhere without any need to install (or carry it in USB pen drive). 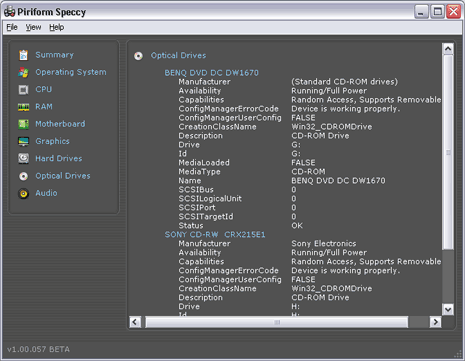 Download portable Speccy and carry it anywhere to view detailed hardware information about any computer. It has easy to use interface allowing easy understanding of hardware details of different components. 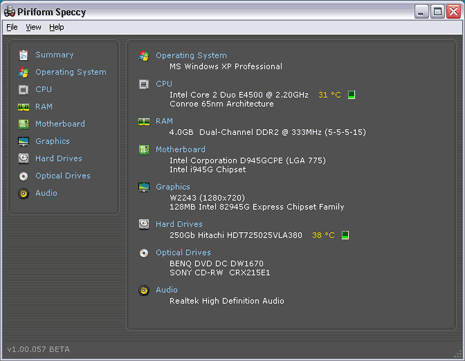 One cool program for quick and easy access to (boring) hardware details.